You have a lot on your plate: school, homework, a job, friends, sports, extracurriculars, caring for siblings or relatives, college prep. Teenagers are busy at levels that weren’t imaginable a decade ago. The pressure can feel overwhelming and it can be a challenge to stay motivated to finish every single task. Unfortunately, there are no shortcuts or magic spells, but there are a number of techniques that can keep you focused, on task, and disciplined. 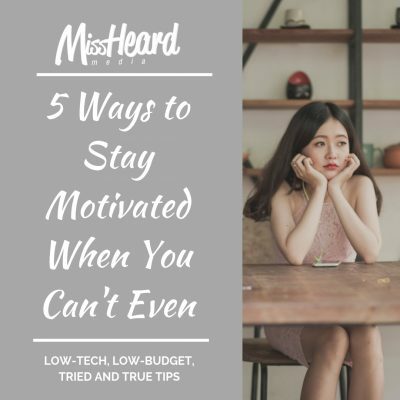 I’m going to share some tried and true tips to find your motivation and get all the things DONE. Each of these techniques requires very little technology, nothing special to buy, and very little effort on your part (other than some discipline). Pick ONE task to work on. 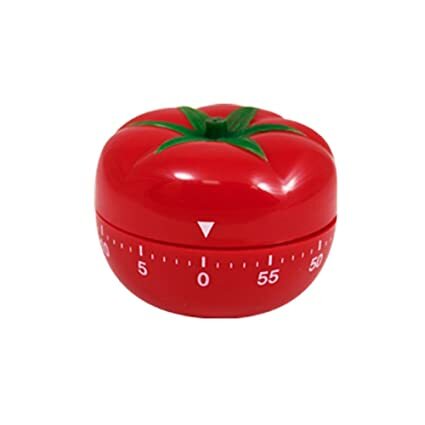 In the pomodoro technique, there’s no room for multitasking, which can be distracting and un-motivating. 2. Set a timer for a desired length of time. The technique calls for 25 minutes, but if you find yourself struggling to work for that long, try 10 or 15 minutes. 3. Work on your ONE task until the time dings. 4. Mark off your interval. It can be as simple as putting a checkmark or X on a piece of paper, or you can personalize it with stickers or markers. 5. Take a 5-minute break to do whatever you like. 6. After completing four intervals, take a 15-minute break. Why it works: The timer keeps you focused, breaks allow your mind to rest, giving you something to look forward to, and marking a piece of paper keeps you motivated. Sometimes, getting things done is a matter of discipline, organization, and prioritization, not motivation. To make an effect to-do list, look at your BIG task at hand and break it down into smaller steps. For example, if you have a paper to write, you may need to gather primary sources, take notes on chapters 1-3, make an outline, write the body, introduction, and conclusion. Make each of these tasks its own “to-do.” You can organize the tasks from easiest to hardest or hardest to easiest and cross them off when done. There is something SO satisfying about crossing something off a list. Why it works: Seeing your GIANT task laid out into small, bite-sized tasks can make the GIANT task seem more manageable. Crossing things off a list can give you a little boost of energy and motivate you to keep going. Sometimes, no matter how hard you push, it’s just. Not. Happening. Instead of spinning your wheels, getting frustrated, and burning out, take a break to do something else. Read a book, watch a TV show, take a walk. Hop in the shower, where all great ideas happen, and give yourself a conditioning hair treatment or face mask. Do something to get out of your own way. 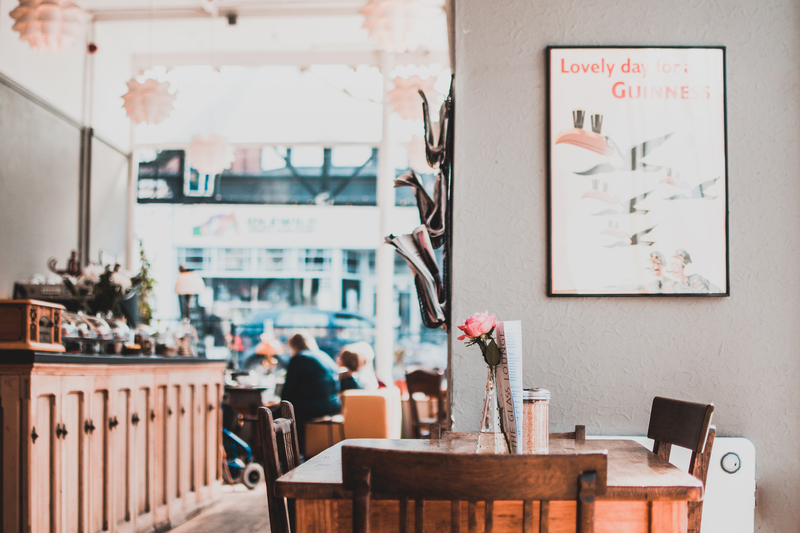 Regular breaks are a good habit to get into, as they can improve your mental well-being, productivity, and creativity in the long run. Why it works: Taking a break gives you focus and energy when you come back to your task allowing you to feel refreshed. Working in one spot, day in and day out, can make us feel stuck and stale. This is especially true if your workstation is your bed. I know not everyone has space for a desk in their house- however, working on your bed sends your brain mixed signals about sleep and work. Get up and take your work somewhere else, even if it’s another room in the house. Try putting on a different language TV show for background noise, or a relaxing YouTube station (my favorite is storms on the beach). If you can, take your work to the library, a coffee shop, or outside. Why it works: You’re less likely to be distracted by normal things, like a sibling, a TV show, or your pet and more likely to focus when you’ve committed to moving to a new space. This is a suggestion from a friend- Sarah E. She finds watching a documentary or movie about someone she admires inspiring. You could also try a biography or podcast. You can read, listen, or watch, the effects are the same. Why it works: Watching someone else achieve can inspire us to dream, do, and achieve. Remember, getting things done is a combination of motivation AND discipline. You won’t always be motivated- and that’s OK- but we still have to get things done. Try one of these tips, or mix and match and get ready for an overwhelming feeling of accomplishment! What’s your favorite way to stay motivated?